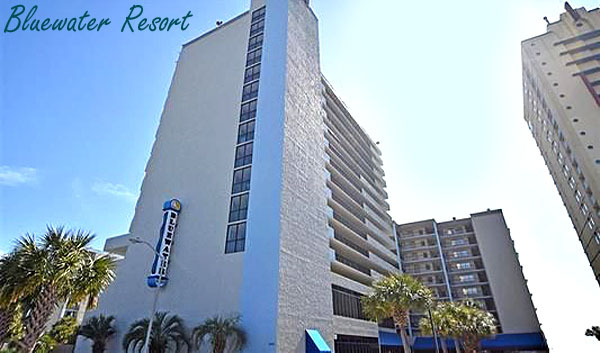 Bluewater Resort is an oceanfront high-rise on the south end of Myrtle Beach that was built in the late 80's. In the early 2000's it was renovated and converted to condominiums. Perfect for vacation rentals, Bluewater has efficiency rooms, one, and two-bedroom units - both oceanfront and ocean view. Prices range from $50,000 to $150,000. 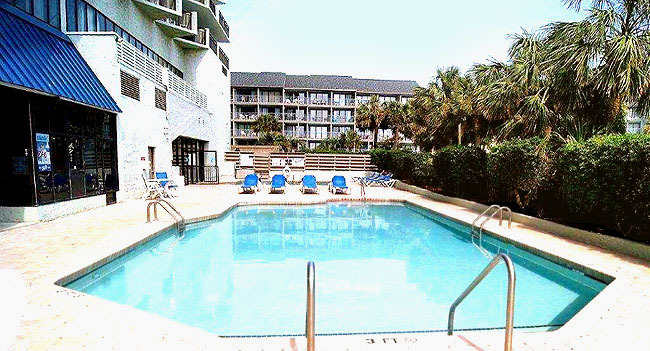 These are some of the most inexpensive condos in the Grand Strand, yet offer every luxury amenity vacationers ask for. Indoor and Outdoor pools, hot tub, a lazy river, arcade, and game room are all part of the package for owners and guests. In addition, there is an on-site restaurant, poolside bar and grill, and a lounge on the 15th floor with pool tables and live music. Across the street from the beach, Bluewater offers condos in a low-rise building with its own pools and lazy river. Owners and guests can use any of the facilities or enjoy a less crowded version of the resort. There are 1 and 2 bedroom condos in the Villas, with prices somewhat lower than the oceanfront units. 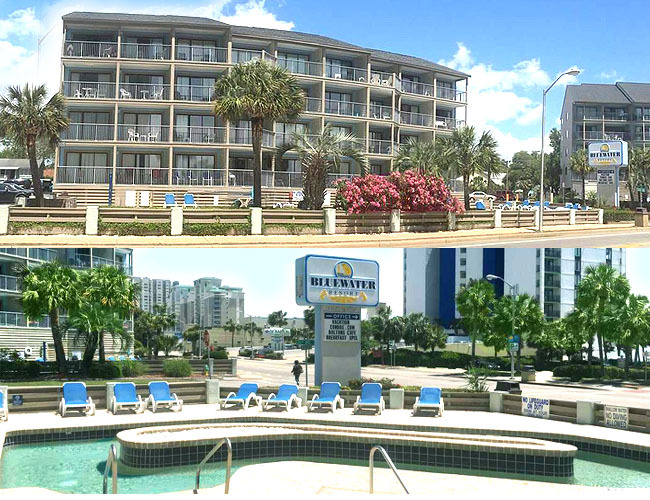 Being on the south end, Bluewater Resort is convenient to The Market Common, Myrtle Beach Airport, Coastal Grand Mall, Broadway at the Beach, plus many other attractions, shopping opportunities, and restaurants. Contact us to see these great and affordable vacation condos!